Equity for Children is an initiative of the Studley Graduate Program of International Affairs (SGPIA) at The New School in New York City. Our organization strives to advance an agenda of social justice, human rights and social equality for children worldwide in order to strengthen children’s well being by diminishing child poverty, marginalization and inequality. – Providing Learning and Networking opportunities, using a tri-lingual website to disseminate research and stimulate discussion about the equity approach and child rights. EFC convenes policymakers, academics, practitioners, young people and students to foster discussion and launch concrete action that advances child wellbeing. 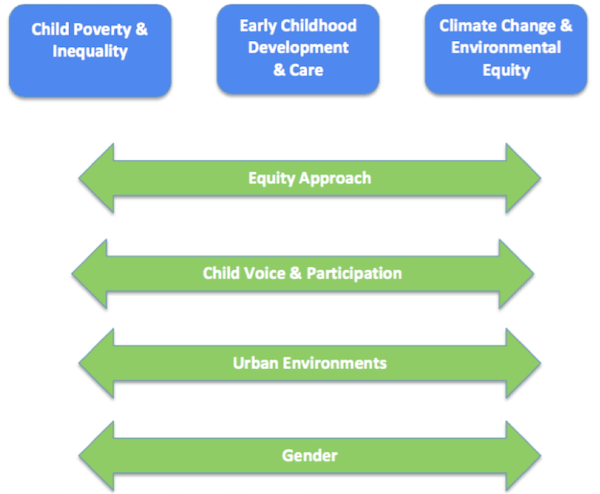 Find our more by downloading the Equity for Children General Overview. Read our Fall 2017 and Spring 2017 Impact Reports.